Why is Kromtech a visionairy software company? What makes Kromtech unique compared to its competition? 1. Kromtech combines in their software programs excellent utilities for pc optimization with excellent security features. Kromtech focuses on providing high quality security and has technology partnerships with Avira, Intel and Microsoft. The antivirus engines integrated in their flagship products, the PCKeeper and the Mackeeper have been indepedently testend and approved by AV-Comparatives, OPSWAT, Virus Bulletin and AV-Test. Most traditional utility software companies that have implemented a malware scanner, have never tried to get their anti-malware engines approved and certifitied. Kromtech has always had the intention to provide their customers with an excellent malware scanner without comprimising the other utility programs and tools. Kromtech always took security and utility software serious. Many traditional security software companies like Kaspersky, Avira and Bitdefender have never focused on providing their customers with extra tools for cleaning, protecting and optimizing their systems and data. It is only recently that they try to incorporate this funcationality in their own flagship products. A concrete example is the Bitdefender Total Security suite. This product has a better reputation and track record based on security features, but is lacking behind in terms of provided tools and utilities compared to the PCKeeper. This difference is even more apparent if you compare a regular Bitdefender Mac antivirus solution with the Mackeeper. The Mackeeper has a better track record and reputation on both mac security and utility level. Kromtech has proven to be visionary concerning the development of mac antivirus software with additional internet safety and data privacy tools. 2. 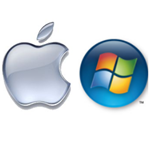 Kromtech focuses on the development of additional live human assistance and technical support for their Mac and Windows customers. This is already perfectly integrated in the PCKeeper Live. Its unique technology allows real certified technical specialists to spot errors, glitches and other issues on your PC and fix them remotely. The Mackeeper has also this functionality with the Geek on Demand feature. Geek on Demand gives professional answers to all technical questions. A Mackeeper user can describe a problem in detail and present new challenges to the mac experts. In the new Mackeeper 3.0 edition a complete human assistance service will be integrated and released in 2015. The Human Assistance or Live feature is an important extra unique feature which can save you much time and money in case of severe problems with your Mac or Windows system. The focus Kromtech is on developing new technologies will ensure that they remain an industry leader in optimization and internet security software. Their goal is to enhance their existing product lines and continue to focus on long-term objectives and growth. Their future is based on happy customers and they intent not to forget that. That’s why Kromtech focuses on integrating Human Assistance within their products.